For over a decade, Product Ventures has provided Frito-Lay with unique packaging design solutions. 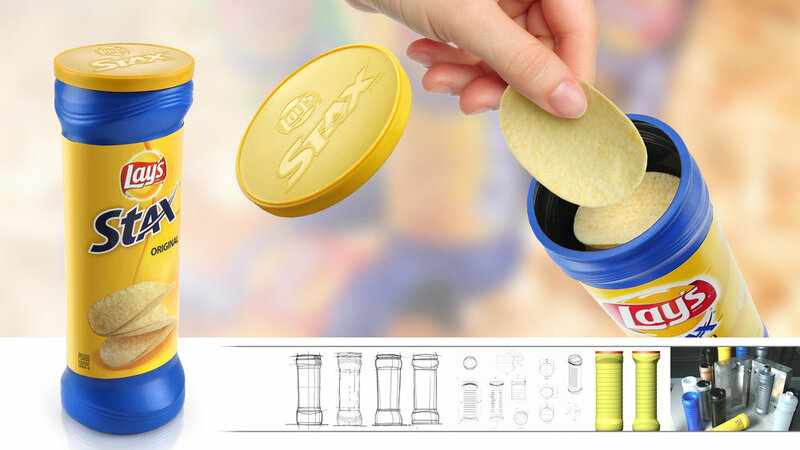 As a new entry into the stacked chips category, Lays Stax needed a package to compete with incumbent leader Pringles. Product Ventures designed and engineered a high-barrier plastic container. Leveraging concurrent engineering and rapid part production, we satisfied the requirements for part and line qualification and quantitative testing within an aggressive timeline. This packaging innovation ensures fresher, fewer broken chips than Pringles.